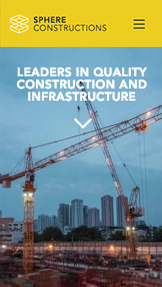 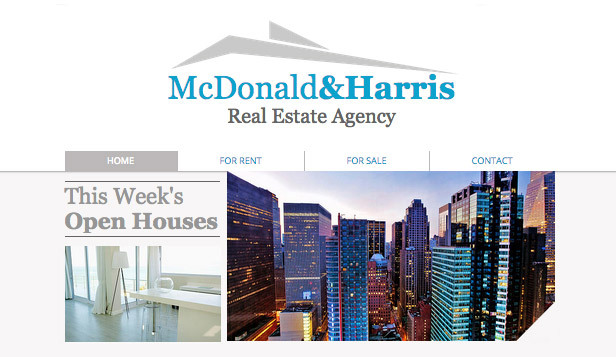 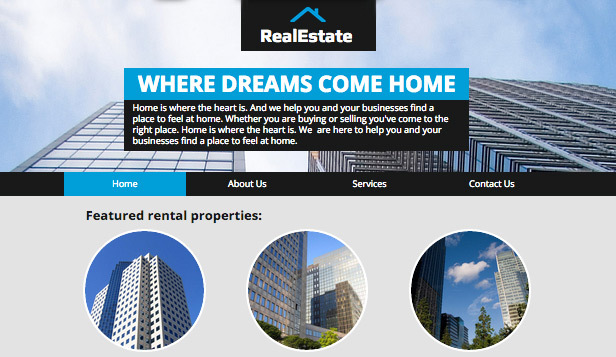 A polished and professional theme ready to promote your real estate company. 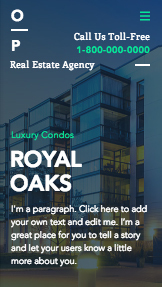 Customize the text to highlight your professional experience and upload images to show off your properties. 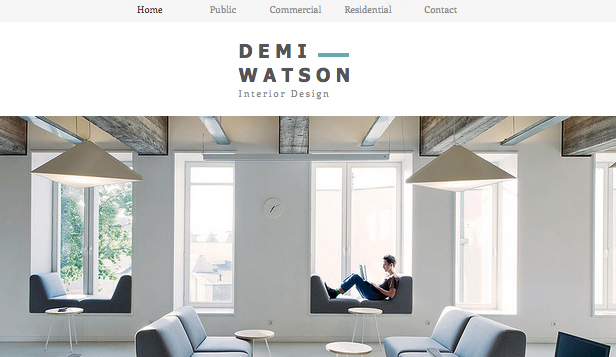 Take your business to the next level with a custom-made website. 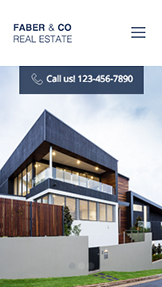 Modern and bright, this is the perfect template for any real estate agent or broker wishing to showcase their wide selection of properties. 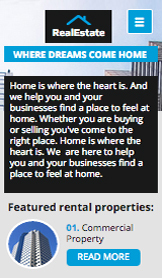 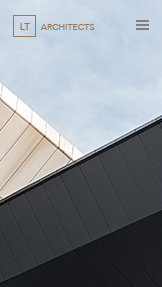 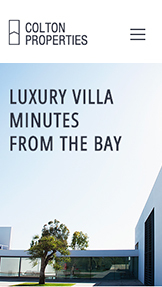 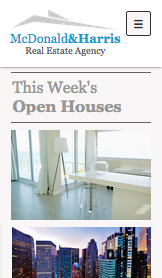 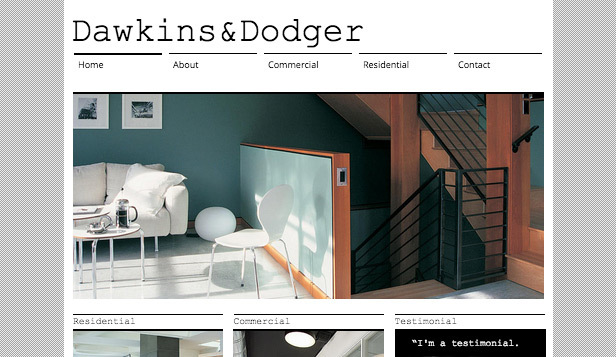 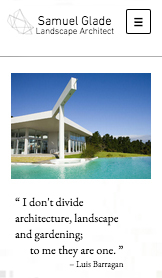 With attractive sales and property pages it has never been easier to entice potential clients. 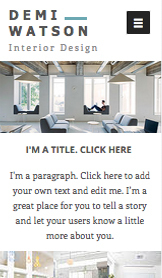 Simply personalize the template by adding your own images and customizing the text and watch as your real estate agency sores to success. 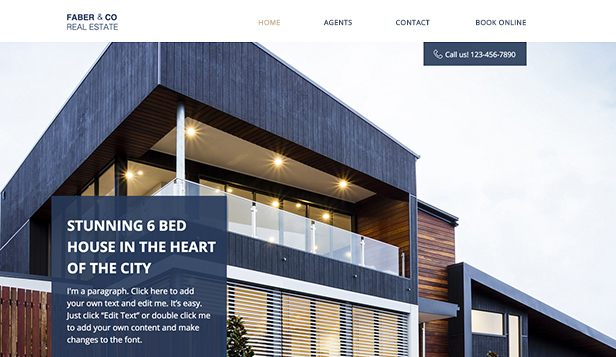 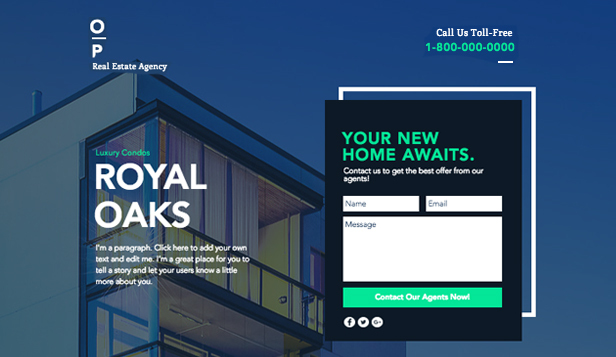 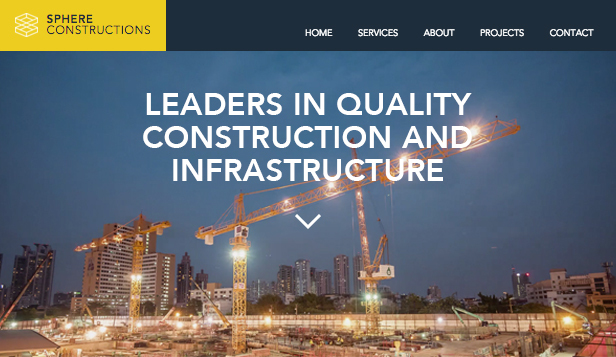 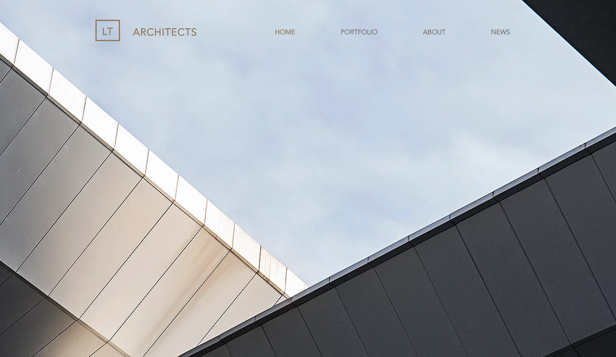 Take your real estate firm to the next level with this sharp website template. 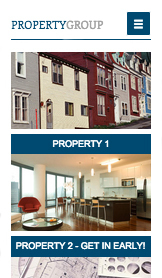 Create a photo gallery to exhibit your properties and customize the text to advertise your services. 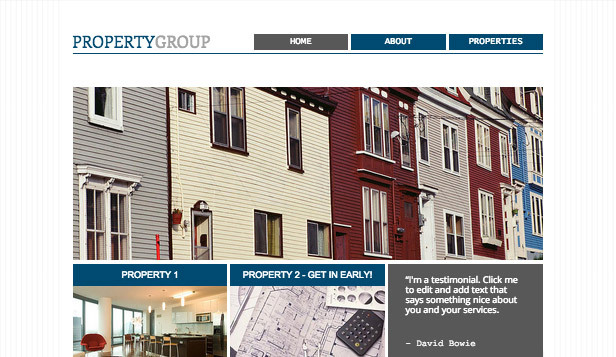 Start editing to craft a polished website that stands out from the crowd! 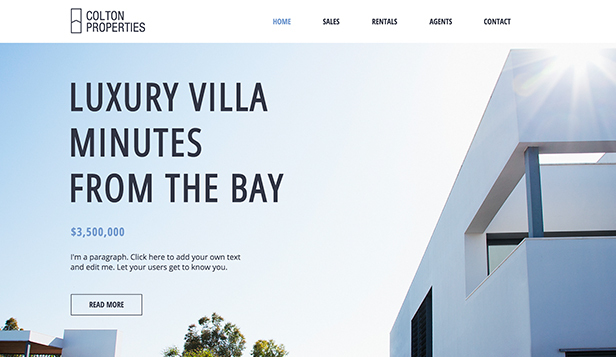 Take your real estate firm to the next level with this sharp website template. 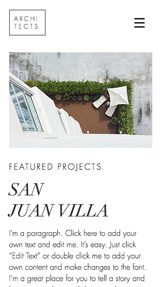 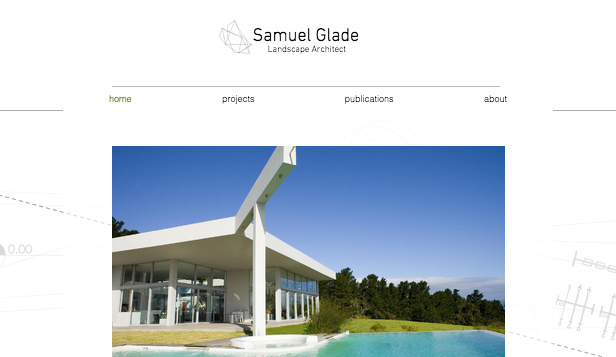 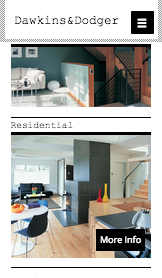 Create an elegant photo gallery of properties and customize the text to advertise your services. 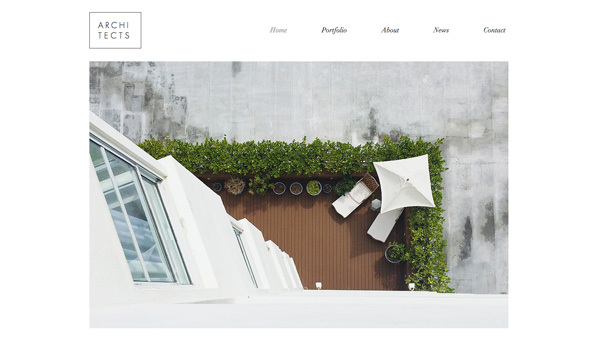 Start editing to craft a polished website that stands out from the crowd!